Service Costs > How Much Does it Cost to Move a Shed? How Much Does it Cost to Move a Shed? No matter what the circumstances are, you are more than likely going to need to hire a professional to help move a shed from one point to another. During this process, they will be able to jack up your shed, place it on a tow truck and haul it to your new location. Trying to do this job yourself will most likely end up in causing damage to the structure of the shed, causing it to deteriorate faster or even fall down. Moving a shed without professional help could also result in injury. Therefore, this job is best left to those with experience. With most companies, moving a storage shed is going to depend on the size, accessibility, condition, the contractor performing the job, geographical location and if there are any complexities. On average, plan on spending anywhere from $225 to $500 to move a portable shed within 50 miles. This is an ideal price range for sheds that are 10-by-14 or smaller. Since all procedures are going to be different, consider getting multiple quotes for free from reputable licensed contractors at HomeAdvisor.com. According to this forum thread at Garagejournal.com, a member stated that he was able to move a 10-by-16 shed across town for less than $125. Other members on this same thread were able to pay less than $400 to move their shed. A professional on this thektog.org forum thread stated that back in the day, he would charge $200 to move a smaller shed within 25 miles. WeMoveSheds.com provided an official pricing list, with prices ranging from $335 to $545, depending on the size. The cost to move a 10×12 shed, for example, would be about $545 if within 20 miles, but the costs, in the end, would depend on the accessibility, site conditions, the size, type and condition of the shed. Each additional mile will be charged $3 per loaded mile. As long as the shed has a solid base and can be easily placed onto a flatbed tow truck, the costs are going to be minimal. However, if the shed is anchored onto a concrete foundation and the base is not sturdy, the costs can go up since a lot more care and precautions will be necessary. During the process, the shed will be raised up using jacks so that it can be loaded onto a flatbed trailer. If the shed is in a tricky spot, some moving companies are able to lift the shed with a special crane using a winch. Once it is secure on the trailer bed, it will be driven to the new location, dropped off and leveled in the new area. If you have to move the shed more than 30 miles, there will more than likely be a mileage surcharge that is usually around $1 to $3 per mile. Oversized sheds will need to be escorted by a flag car and a wide load permit will need to be pulled, which, will increase the costs. Removing ramps can be an additional $25 to $50. If any skids need to be added in order to move the shed can cost another $50 to $75. Most professionals will base their estimate on the amount of time they think they need in order to complete the job. If the job surpasses this hourly estimate, then an additional charge may apply, depending on the contractor’s policy. If permits have to be pulled to remove or replace the shed, additional fees may apply. If you don’t know who to call when you need to move a shed, consider calling up a local tow truck company. Some of these companies in the area are able to move sheds across town. Another place to call up is a local retailer that sells sheds. They may be able to point you in the right direction as well. Pay close attention to the height of the shed. If the driver has to drive under bridges or power lines, the height may become an issue. Most companies will not move a shed that is taller than 10′ 6” tall. When choosing a contractor, always make sure that they are licensed and insured. This way, if something happens to the shed while it is in their care, you may be able to get it replaced for free. Make sure that you prepare the shed before the movers arrive to save time. You should also accompany the movers to the new site of the shed so that you can be precise with where you want them to place it. With any professional service, always make sure that you get at least two to five quotes before deciding on a company. Using the HomeAdvisor.com quote mentioned earlier can help connect you with local contractors, but searching Yelp or even Google can produce results as well. Make sure you ask yourself if moving the shed is worth it. 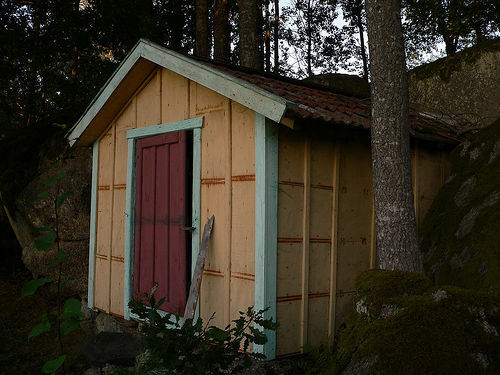 If you have to pay more to move it, it may be better to buy a new shed and scrap the old one. If you are handy and have a few people to help you, moving a shed could be done on your own. However, if you are going to go this route, make sure that you have the necessary equipment and manpower to do so. A move on your own should only be done if it is going to be for a short distance.